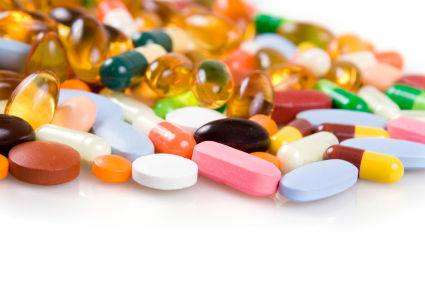 We all want our children to take their vitamin and mineral supplements, right? Teaching him/her to swallow them is no easy task. Especially if they have special needs and are not open to learning new things. Today, both my sons put me to shame on how easily they swallow their supplements. I am a sissy about it. One capsule at a time with LOTS of liquid to wash it down. It’s probably psychological, but my throat closes up when I need to swallow a vitamin; even if it’s smaller than a bite of food. When we started our sons on vitamin and mineral supplements, I did the labor intensive task of breaking open each capsule and mixing it into juice or food. It worked for about six months or so. I eventually got tired of the time waster, begging kids to “finish your juice” or “eat ALL of the applesauce” for fear of not getting the entire dose into them. I know some goes to waste with this method, but some was better than nothing. Supplements can get expensive and they were of vital importance for my sons to take to help them with their deficiencies. So I started to inquire as to how other moms were “getting the medicine to go down.” Here are some ideas that can work for toddlers or young children alike. Put a bit of honey on the pill and pop it in followed with liquid. Takes away the taste of any supplement if there is one. Open them up and mix into juice inside a sippie cup with a lid, to hide any color changes to it and the smell. I used to get my four-year-old to drink cod liver oil mixed with his powder vitamin in a juice mixture (pear juice) inside a sports sippie cup every morning. I did have to chase him around and ask him to finish his juice….but the nasty smell was contained inside the cup and he couldn’t smell it. Washing the cup was another story. Ugh! Make vitamin smoothies with juice, ice, fruit and blend till dissolved. Open up capsule into applesauce, pear sauce or a nut butter. We used sunflower seed butter since both boys were allergic to peanuts. Trader Joes sells a yummy sunflower seed butter. At dinner time I’d mix supplements into ketchup, (dairy free) ranch dressing for dipping veggies. Some parents will mix it into GF/CF chocolate syrup, and make it a treat. Then there is always the mixing it into a tiny amount of liquid and using a medicine syringe, hold child down and squirt it into the side of their mouth. I’ve heard parents have some success with young toddlers using this method. An adult can model how it’s done. This works best with dad showing his son, who wants to do everything daddy does. Put the vitamins on the table with a cup of juice and show them how it’s done. Good luck with that one. But it’s worth a try! OK, ready for the easiest method I found to teach my kids to swallow vitamins? It’s the Oralflo cup. You can buy it online at www.oralflo.com. It’s unique design has a lid with a spout that has a screen on it to keep the vitamin separate from the liquid. You place a small amount of liquid in the cup and the vitamin in the spout. I found that if my boys quickly (not too quick) tossed their head back with the cup in their mouth, the liquid pushes the vitamin back into the mouth and they swallow it easily. If they went too slow, the liquid reaches the vitamin before it shoots it into their mouth and it sticks inside the cup spout. We started practicing with Nordic Naturals DHA Jr. capsules. They are small round gels that go down easily. Once my sons felt comfortable with the smaller capsules, they had no problem taking larger ones. Eventually they told me they didn’t need the cup any more and tried it by just placing the vitamin in their mouth and swallowing with liquid. You’d be shocked how many they can take at one time now! If you have success stories that aren’t listed here on how you taught your child to swallow vitamins, please post a comment below. I may not be stranded on a deserted island and vying for immunity so as not to get voted off; but sometimes my life feels like Survivor. I’m trying my level best to keep my sons’ and my own immune system strong to fight off the assaults from nature and mankind. Flu viruses, pesticides, toxins, cancer, you name it, our immune system is our front line of defense. It really needs all the help it can get. And my first choice to boost my family’s immune system is a good probiotic. Probiotics are bacteria that are beneficial to a person’s health, either through protecting the body against pathogenic bacteria or assisting in recovery from an illness. Did you know that about 70% of our immune system lies within the intestinal tract and digestive organs (aka: the gut)? That makes our gut the largest immune system within our body. If your gut isn’t healthy, then your immune system may be compromised. And you know what that can mean…illness, disease, and a overall feeling of “blah”. Just as most everything in nature is balanced, our gut needs to maintain a healthy balance to keep it functioning properly. We have good bacteria in the lining of the gut to help keep the bad bacteria in check. Think of it as the Heroes vs. the Villains on the TV show, Survivor. 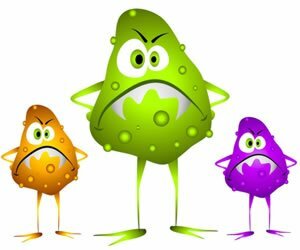 The Heroes are probiotics (good bacteria) and battle to win immunity over the Villains (bad bacteria). If the Heroes get wiped out by say, the “antibiotic challenge”, well then the Villains will now be able to set up their camp where the Heroes once lived, and overtake the entire island (gut). This scenario not only leaves your immune system vulnerable in defending your body against all sorts of pathogens; it also creates digestive problems, diarrhea or constipation. Simply taking a daily probiotic can help improve your gut health while keeping your immune system strong. I think of probiotics as the hidden immunity idol. It’s our secret weapon that helps us avoid “tribal council” of the gut. Survivors ready? I believe we are. That is one of my favorite lines by the character Kramer on Seinfeld. Jerry is ordering Chinese take out and asks Kramer if he wants anything. His response was a noodle dish and “get extra MSG”. It made me laugh, because when I first saw that episode, I thought Chinese food was the only way you’d get any MSG. I didn’t know exactly what it was or just how prevalent it is in our food supply. The U.S. FDA has classified MSG (monosodium glutamate) as a food ingredient that is GRAS (generally recognized as safe). MSG is the sodium salt of glutamic acid, an amino acid and one of the important components of protein. When glutamic acid is found in foods, it’s always in a “bound” form. Our bodies can handle the bound form of glutamic acid. It’s when it’s in a “free” state that causes sensitivities and we can have a reaction from it. 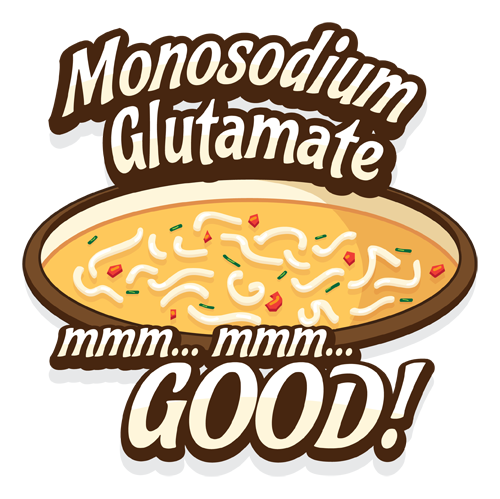 MSG manufacturers not only free the bound glutamic acids from foods, they create it chemically. Here is the main problem with free glutamic acid: it is the very same neurotransmitter that your brain and many organs including your ears, eyes, nervous system and pancreas use to initiate certain processes in your body. MSG can cross the blood-brain barrier and is an excitotoxin. Excitotoxin: a substance added to foods and beverages that literally stimulates neurons to death, causing brain damage of varying degrees. Can be found in such ingredients as monosodium glutamate (MSG), aspartame (Nutrasweet), hydrolyzed protein, and aspartic acid. ~ Russell L. Blaylock, MD “Excitotoxins, The Taste That Kills”. MSG is a flavor enhancer commonly added to soups, salad dressings, gravies, broths, canned vegetables, processed meats and a lot of snack foods. It can stimulate the taste receptors on the tongue, and trick your brain’s pleasure pathways into getting you to eat more. Food manufacturers reap the benefits from consumers’ cravings and over consumption of these foods. If that’s not bad enough, MSG stimulates the pancreas to release insulin when there doesn’t even have to be carbohydrates in the food for that insulin to act on. Now remember, insulin is the “hunger” hormone. The blood sugar drops because of the insulin flood, and you are hungry an hour later. What’s that saying about eating Chinese food and still being hungry? Food manufacturers market some of their products as “no added MSG”. That doesn’t mean that MSG is not in the other ingredients like autolyzed yeast extract. Progreso soups’ ad campaign last fall is an example of this deceptive marketing. NO ADDED MSG, our soups are healthier. Yada, yada, yada (you can tell I’m a Seinfeld fan) Well, what about the hidden MSG? Legally, they can claim that because they removed the outright monosodium glutamate, but left in the hidden forms of it. Most anything that you buy that says “spices” or “natural flavors” contains MSG. The food industry avoids putting MSG on the label by putting MSG in spice mixes, and if the mix is less than 50% MSG, manufacturers don’t have to put it on the label. Remember, by FDA definition, all MSG is “naturally occurring”. Natural doesn’t mean safe. Natural only means the ingredient started out in nature. An example of just how much MSG is in a typical snack food that a lot of kids consume today, Flamin Hot Cheetos has listed in its ingredients monosodium glutamate (MSG). It also lists the many ingredients where MSG is hidden: autolyzed yeast extract, maltodextrin, citric acid, hydrolyzed soy protein, whey protein concentrate, sodium caseinate, natural flavor and carrageenan. Why don’t we just call them “Flamin Hot MSG Sticks”? (Don’t even get me started on all the artificial colors in them!) High school and college students’ favorite instant meal Cup Noodles or Top Ramen are chock full of MSG. It’s the first listed ingredient in the soup after salt. Brain food?! I don’t think so. Fast food restaurants have MSG in many of their products. The worse offenders by far are Taco Bell, Burger King and McDonald’s. Did you know every time your child eats Chicken McNuggets and fries they are ingesting MSG? Are you “loving it”? My kids and I experience a few of these reactions when we’ve eaten foods with MSG. I don’t feel very well afterward, and I know my kids don’t because of their behavior following the infraction. Our family tries our best to eat foods without any type of MSG derivative and it’s difficult. As you can see from the list above, there are so many ways MSG is in our food supply without even trying to “get extra MSG”.